There are always times when you wished that you had a little bit more cargo room for groceries or for the sporting gear that you need to tote around for your children. Having a smaller vehicle is something that can lead to a bit of a headache that can be fixed when you look for a quality sport utility vehicle that offers you the dependability and cargo room that you have been hoping to find. 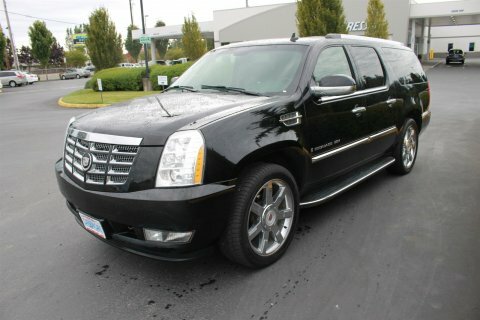 This is where Carson Cars comes in handy with a good selection of dependable pre-owned SUV’s for sale in Bothell. Buying a vehicle means that you need to take all of your options into account so that you can settle on the perfect investment for you and your financial state. If you happen to feel as though you have bad credit or not enough credit to get approved for a vehicle loan, you can rest assured that Carson Cars will stop at nothing to make sure that you are able to drive away happy with the financing that you need. For some reason, if we are not able to get you the loan that you need for your new to you SUV, we will pay you $500 for your troubles. Once you buy your pre-owned SUV from Carson Cars, you also have the added convenience of a full service maintenance department to take care of all of your regular vehicle check ups and repairs that may be needed moving forward. If you are looking for used Toyota SUVs for sale, call Carson Cars at (855)583-9356 for a wide selection of quality pre-owned SUV’s for sale in Bothell. We look forward to making you a proud member of the Carson Cars family of customers!